The ongoing battle in the US state of New Jersey over whether land-based casinos will remain confined to Atlantic City or be allowed elsewhere in the state has now spilled over into the online-gambling sphere. The latest skirmish comes courtesy of a new legislative measure designed to require that the state’s online sites carry specific, always-present branding that ties each site to its corresponding land-based casino. This new “forced advertising” measure, Assembly Bill 2811, is sponsored by NJ Assemblyman Ralph Caputo and was introduced in February. 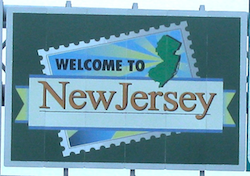 Last Thursday, it easily cleared an initial vote in the New Jersey Assembly’s Tourism, Gaming and the Arts Committee by a 6-0 count, with that committee being chaired by Caputo. (TRENTON) – Legislation sponsored by Assemblyman Ralph Caputo (D-Essex) requiring gaming websites affiliated with Atlantic City casinos to promote the casinos on their websites and advertising was released Thursday by the Assembly Tourism, Gaming and the Arts Committee. The bill (A-2811) would require each casino licensee that conducts Internet gaming in partnership with its Internet gaming affiliate under a license issued by the Division of Gaming Enforcement to prominently advertise the name of the casino and its Atlantic City property on each Internet gaming website it operates under that license, and to prominently print, display, announce, or otherwise disseminate that name on each form of Internet gaming advertisement conducted by the licensee or its Internet gaming affiliate. The bill would require the division to review each licensee’s Internet gaming website and Internet gaming advertisement for compliance with these requirements. Well, okay. Duly noting that Caputo is the chair of this tourism committee, it’s also duly noted that Essex County is the Newark area in northeastern New Jersey, meaning the very area that is trying to get New Jersey law changed so that they can have casinos of their own, to draw customers from next-door New York City. It’s a vicious factional battle within New Jersey over expanding casinos to be statewide, compounded by the fact that the ever-more-isolated Atlantic City offers less and less that makes long-distance customers want to invest the hours it takes to get there. Atlantic City’s decline has been going on for decades, and despite the seemingly pro-AC quote from Caputo in the presser above, this looks more like the metaphorical wolf in sheep’s clothing. There really aren’t a lot of good reasons as to why the AC casinos with online presences should be forced to brand their sites in the way Caputo proposes, except and unless New Jersey opens up statewide casino licensing. Why look! Should casinos suddenly appear in northern new Jersey, then such forced advertising on the online sites surely to follow for those northern New Jersey casinos will also carry that same required branding — a constant reminder that those non-AC casinos are just a very short drive away from New Jersey’s major population hubs. Color me cynical. And color this as being more than just a bit disingenous. The Jersey casinos have every incentive to advertise and promote themselves on their own online sites as they best see fit. 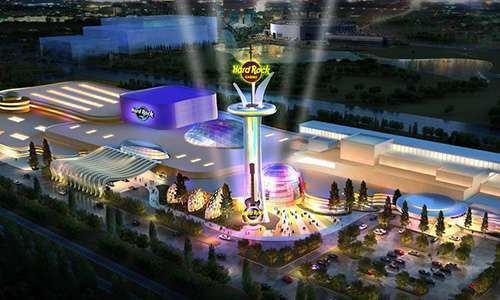 Caputo’s proposal appears to be a little bit more than your typical unwarranted government interference; it seems to be paving a path or statewide casinos — at Atlantic City’s expense — despite its claims to the contrary. This bill offers no clear benefits to Atlantic City’s already-existing casinos, but it does offer potential benefits to new casinos that might be improved up in Caputo’s portion of the state.